Is your Burlington business looking into the possibility of having vending machines or coffee service? 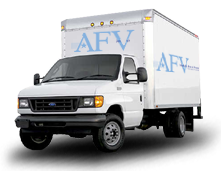 American Food & Vending has been providing those services for over thirty years. Vending machines help morale of your employees, help save lost time from extended breaks, and can be installed in your Burlington business for free. 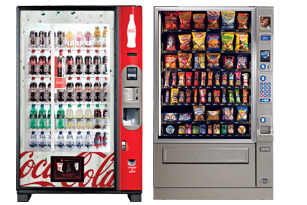 Your Burlington business can choose from a wide selection of items that can be dispensed by our modern vending machines. We have vending machines filled with Coca Cola products, Pepsi Cola products, snack vending machines, vending machines with nutritional food and drinks, candy vending machines, coffee vending machines, and vending machines with hot or cold food selections. You call us up, and we come out to your business and help determine what would best fit the needs of your Burlington business. American Food & Vending can install an in line water filtration system in your Burlington business, eliminating the need for those 5 gallon cumbersome bottles that have to be stored, and a new heavy one lifted back onto the cooler when the old one is empty. You’ll need great tasting water for the other service we offer, coffee services. Coffee services in Burlington by American Food & Vending can reawaken your break room. With equipment from Bunn and Newco, and great tasting coffee from Victor, our staff will make sure you are always are well stocked and ready to serve up the best cup of Joe around. Coffee, tea, hot chocolate, cups, filters, sweeteners, creamers, and even stir sticks organized in your break room. Give your business a lift by calling us at (800) 553-2222. American Food & Vending serves Burlington and surrounding communities.